A digital campaign to boost visitor numbers in Falkirk has reached over one million people. 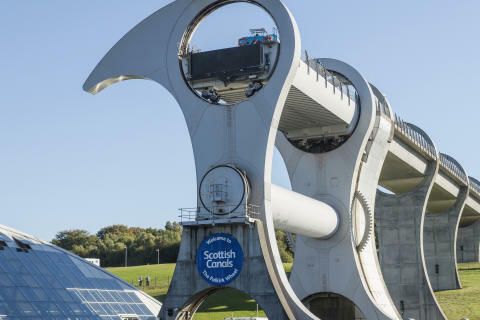 A series of online videos highlighting things to see and do around Falkirk, featuring everything from The Falkirk Wheel to the town’s football team, was given a cash boost by the national tourism organisation last year. Since then the clips have been viewed over 1.4 million times across social media and via the VisitFalkirk website. Falkirk Delivers, the Town Centre BID (Business Improvement District), working in partnership with Falkirk Council, Scottish Canals, Falkirk Community Trust, Bo’ness & Kinneil Railway, The Howgate Shopping Centre, The Milk Barn, Scottish Segway Centre and Falkirk Football Club, received £18,300 from the VisitScotland Growth Fund to help create the four online video itineraries. The group used key themes of cycling, family fun, heritage and night time, for the videos with the aim of increasing the number of visitors to the attractions and promoting Falkirk as more than just a day visit destination. 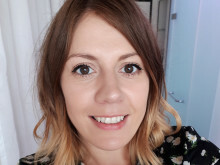 The videos formed part of a £36,000 digital marketing campaign and were promoted through social media activity and radio advertising along with working with three bloggers. 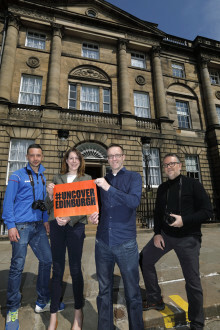 It was the second VisitScotland Growth Fund award to the VisitFalkirk partners in recent years, following an award in 2013, which supported a range of activity including the development of the original itineraries that will now become film versions this year. Neil Christison, Regional Director at VisitScotland, said: “Over the past four years, the Kelpies have been drawing many thousands more visitors to Falkirk, and there is a massive opportunity to extend those stays by revealing just how much there is to see and do in the wider area. Alex Fleming, BID Manager at Falkirk Delivers, said:“The VisitScotland team encouraged us to be aspirational with the content we created which in turn lead to fantastic responses to the films, the results of which far exceeded even our most optimistic expectations. 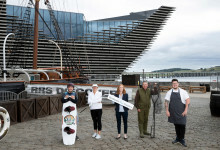 “It was also important for Falkirk Delivers to see the town centre linked directly with the attractions and to tell the story of all that Falkirk has to offer as a two or three-day destination. In addition to the match-funding from VisitScotland and a further £7,500 from Falkirk Delivers, Falkirk Community Trust (£5000) and Scottish Canals (£3000) also contributed to the campaign. Other financial contributions come from Falkirk Council, Falkirk Football Club, Howgate Shopping Centre, The Milk Barn, Bo’ness & Kinneil Railway and Scottish Segway Centre.